This article will teach you everything you need to know about starting your own language learning blog – whether it’s to provide a resource for other learners or to keep yourself accountable (or both). UPDATE: I now offer private, one-on-one consultancy. If starting a successful language (or other) blog is important to you, please get in touch. I never actually intended for The Mezzofanti Guild to become what it is today but by consistently providing useful information for other learners it’s now a full-time job that supports me and my family, offering useful advice to thousands of people around the world every day. I’ve been writing now for about 8 years (about 6 of which have been on the topic of languages and language learning) and I’ve learned a LOT over that time about what works and what doesn’t in the world of blogging. So since I occasionally get requests asking for advice on how to start a language blog, I’ve decided to provide this article as a guide to help anyone interested. You need to sit down and plan. There’s no use reinventing the wheel. Without a clear direction and plan, your new blog will end up on the trash heap with every other directionless, haphazard blog ever made. So let’s say you speak Spanish and you want to create a blog where you offer people tips and advice on how to learn Spanish. A very quick search will show you that you’re the 2,512,679th person to try this. Unless your blog is incredible, it’ll be drowned out by a million other voices saying the same thing. You need to come up a unique spin or angle that everyone else has ignored. Find a specific gap and fill it. This could be anything where there’s a serious need, lack of information or (better yet) an area that’s covered by your own expertise. To give you an example, let’s say you learned Spanish from Peruvian speakers and most of your friends come from Peru. You could start a blog that’s all about Peruvian Spanish where you cover local expressions and pronunciations, slang and swear words, dissect Peruvian TV shows, talk about the best places in Peru to study Spanish and so on. A tagline for your blog could be something like: ‘Everything You Need To Know About Peruvian Spanish’. Since there appears to be a lack of blogs and sites specifically focused on this particular niche of Spanish, you’d be instantly authoritative and stand out from the crowd. You’d be filling a gap that no one else has filled. Of course, this is just a simple example of the kind of thing you could dream up and put to paper. It could be literally anything that other people find useful. Never think that your topic or niche is too specific either – to somebody out there it’s exactly what they need. So let’s say you’ve decided to go with the Peruvian Spanish idea I mentioned. Now you need a name. A domain name that explains what you’re doing and leaves little doubt or confusion to new people (e.g. SpeakPeruvianSpanish.com, LearnPeruSpanish.com, SpanishInPeru.com). A unique name that says nothing about what your brand is about (e.g. The Mezzofanti Guild, italki, Google) <– the risky option. When I first started The Mezzofanti Guild, I had no intention of it ever even being read by many people. I didn’t care about blogging full-time. But I’ll be honest with you – as it began to grow into one of the most popular language learning blogs, I started to deeply regret the brand I’d created because few people know who Mezzofanti is and the domain name I have ‘mezzoguild.com’ is confusing and needs to be spelled out every time I tell someone about it. I often considered changing it to something easier and more obvious. But… over time I fell in love with it. It became recognizable. It’s unique and these days much more widely recognizable as being related to languages AND to myself. So yes, you could start something like ‘learn-peruvian-spanish.com’ which tells people exactly what you’re all about or you could find a Peruvian expression that sounds cool for example and use that instead. Just remember that whatever you go with, brand consistency is crucial. There are loads of options for registering domain names but I’ve always used CrazyDomains personally (it usually costs a couple of bucks per year too so it’s very cheap). You can also get a domain name registered for free when signing up for a hosting plan (see my next step). So you have a great language learning idea, a well-thought-out plan and a domain name that you’re happy with. Now you need a host (server). The host is where you put your website and the domain name is what points people to it. 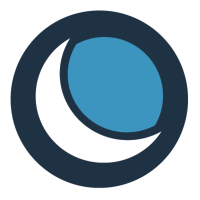 The two companies I use used personally are Bluehost and Dreamhost which both have pros and cons but are overall really great services (and both quite cheap). If you’re just starting out in the world of blogging and you’re really just a newbie trying to figure everything out, then go with Bluehost as I find it’s much more user-friendly and self-explanatory for setting things up. Sign up for a shared server which is the cheapest option and just means that you’re sharing your server with hundreds of other websites. This is fine for new, small blogs but as soon as you start pulling in traffic it may cause problems with speed (or if someone else on your server is hogging resources) at which point you’ll need a VPS or dedicated server option. Shared servers for new blogs are insanely cheap – usually just a few bucks per month (but usually charged up front for a year). If you’re aiming for your website to become big and popular however, then go with Dreamhost. 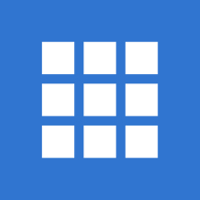 Dreamhost is definitely less user-friendly for complete beginners but in my opinion, a far better option for speed and handling large amounts of traffic. I personally upgraded my servers from Bluehost to Dreamhost when traffic reached a point where it was necessary for a more powerful hosting option. Once you decide on an option that suits you and register, you’ll be sent instructions on how to point your domain name to your new host. Your host will then usually have an option to set up WordPress or another CMS automatically (this is the software that allows you to write posts, create pages and so on). UPDATE: I now use another host called Vultr (requires a fair amount of technical knowledge to get set up). At this point, it’s time to focus on design. NOTE: I’d recommend not getting obsessed with perfecting your blog design at first but just get it to a point where it’s acceptable and then really spend your energy on making amazing content. I’m going to assume that you selected WordPress as your CMS to create posts and manage your site (it’s the most popular platform). Pay a professional to design your site. Design a custom theme yourself. Initially you might want to just go with a free theme and really focus on producing excellent content that people will love. At the end of the day, if your posts are incredibly helpful to people then nobody cares what the design of your site looks like. My first theme for The Mezzofanti Guild was a hideous free theme but my content was well-received by people so it didn’t matter (much). A step up from free themes are paid themes which are often much higher quality, supported by the creators and easier to customize. For this, browse through the Envato Market and check out some of the amazing themes they have there (they also have a tonne of amazing plugins, code snippets and more – I can spend hours going through and checking stuff out). Thesis is another really popular option for a paid theme (that you can completely customize). If you’re not graphically inclined, then I recommend using a service like 99Designs (or check out the ready-made logos and graphics on Envato’s GraphicRiver). You can get some amazing logo and web design work done for a reasonable price which will add to the professional image (and authority) of your site. Rather than slap together a dodgy do-it-yourself logo that screams unprofessional (my first logo is great example of this), let someone create it for you. For a complete, custom Wordpress design by a professional, you’re looking at thousands of dollars for a decent job so unless you have loads of disposal income then I wouldn’t spend this on a WordPress custom theme. If you want that, then Google is your friend or find a designer on UpWork and get a quote. If you’re like me and you’re able to custom code/design a site then I recommend the Genesis Framework, which is a powerful and versatile framework for designing WordPress sites. I design mine in conjunction with a plugin called Dynamik Website Builder. Dynamik makes the Genesis design process a lot less time-consuming and minimizes the need for typing tedious code. I use used the Genesis + Dynamik combination for most of my website work. UPDATE: I recently removed these plugins and redeveloped my entire site by coding my own custom MezzoGuild theme. The reason for this is that I have a rule to use the least amount of WordPress plugins as possible to keep my site secure and ultra fast (really important for SEO, preventing hacking/malware and overall user experience!). TIP: Don’t bloat your site with dozens of plugins and big image files because you’ll regret it as your site grows. Great content is everything in the world of blogging. There’s no point having an amazing, professional design if you have nothing to offer people. As a general rule, I wouldn’t even bother publicly releasing a blog unless it had a dozen or so quality posts on it already. Not a writer? Make some awesome videos! Not a writer or videographer? Make something that people can use. Since you’re creating a language learning blog that’s highly specific and targeted (if you followed my advice earlier in this post that is), you need to consistently offer people content that they have a genuine need and use for. List all of the problems and issues that YOU have experienced learning this language and how you overcame them. If you struggled with it, you can be guaranteed you’re not the only one. Create the very thing that you wish someone else had created when you needed it. Don’t assume everyone’s at the same level you are either. You might be an advanced learner and only interested in advanced grammar topics for example but just remember that a lot of your visitors may still be learning the alphabet or just looking for basic advice on how to get started. Unless your blog is highly targeted to a specific learner level (e.g. only for advanced learners), then make sure your content is appropriate for everyone. Write naturally – as if you were talking directly to a friend (this is one really important way you can relate to your readers). Set up a schedule (e.g. once per week or once per month) and stick to it. Make it a thing that has to be done without fail. There’s nothing more disappointing than landing on what looks like a really useful blog and noticing that they haven’t written anything new in ages. If you browse through this site, you’ll notice that on almost every page I have an email sign-up form. Email is where real connections are made as far as blogging goes. Of all the thousands of people who land on this site each day, unless people sign up to my email list then I have no idea who they are or what their needs are. They come, they read and they go. So having an email list is vital to the life of any blog and enables you to send your content directly to a person’s inbox, survey them and receive direct replies back from them. For a language learning blog, you can send exclusive tips/advice this way or create email courses which give readers something to look forward to each day/week/month. 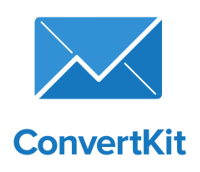 For this, I definitely recommend ConvertKit which is currently the most popular (trending) email platform. As far as features and functionality go, it’s the best out there. I began with MailChimp, moved to Aweber and am now in the process of migrating over to ConvertKit myself. If your main motivation for starting a language learning blog is to make money, then I’d rather you click away and go somewhere else. I have a special distaste for profiteers who make bogus posts and videos or outright lie to make a sneaky buck. It becomes really difficult for people to go out and find genuine information when the Internet’s full of scam articles and dodgy language products that look legit but aren’t. I’ve written this post for people like myself who are passionate about language learning (or a specific language) and want to share their passion and expertise with the world. Of course (like anything) profit often does/can follow passion. Share amazing, free content with people that comes from a genuine love for what you do, never be dishonest and you can financially benefit in the long run. Advertise (i.e. place banners on your site that send people to language products that you endorse). Become an affiliate of language products that you endorse and earn a commission on their sales when you refer people. Create something yourself that people need and put a price tag on it. Notice how I emphasized “that you endorse”. Never ever promote something that you haven’t used or don’t believe in. If you don’t stand 100% behind the quality and effectiveness of a language product then you should not be trying to convince people to buy it. People respect honesty and as a blogger you should consider the trust of your readers as a precious thing to be nurtured and cared for. When I first started earning from The Mezzofanti Guild, I was simply placing advertising banners on my site but I quickly learned that this is incredibly annoying for most people (since we all hate ads), I couldn’t control who Google placed in those ads (since they decide) and it just distracted people away from the content I was trying to share. So as you can see if you look around this site, there are no distracting banner ads. My income from this site comes from two streams: affiliate commissions and my own product, TalkInArabic.com. For affiliate commissions, I review and sample language products of all kinds and when I find a product that I truly believe in, I contact the company to see if they have an affiliate program set up for it. That way when I share the product with my readers, if they find it useful and decide to buy it or sign up for it, I receive a small percentage of the sale. It’s rewarding not only in terms of earning a small commission but also knowing that I’m referring people to a good product that I know will help them. But if it’s something you’re serious about then I highly recommend creating something new that fills a serious need people have. In my case with TalkInArabic.com, I came up with the idea years ago because it was not being done by anybody and so many people needed a service like it. I personally struggled when I was learning Arabic because nothing like it existed. So whatever your language is, use your expertise to produce something that will truly benefit people. Don’t brag or show off. It’s very easy to attract a following by masquerading as something that you’re not – a hyperpolyglot with twenty C2 languages under your belt or whatever – but that’s not who you are. Don’t create a false identity with your blog. Creating a connection with your readers is about letting them get to know you personally, including your weaknesses. You may be an advanced learner of a language but you’re still exactly that – a learner. Let your subscribers see your mistakes. Let people know that they also have a lot to teach you. See your blog as two-way communication rather than just a platform for you to get your message out. People relate to real stories so whenever I write or make a video about what I’m doing, I’m careful to emphasize that I’m just a regular guy who loves languages and I make tonnes of mistakes along the way (sometimes even posting videos of myself trying to speak a new language). I’m sure you’ve seen all the big language learning companies that have very recognizable brands. They have websites, social media pages, they’re all over YouTube and other places, and they have instantly-recognizable logos. Treat your own blog the same way: as a brand, not just a blog. You don’t have to be a business to be a brand. So from the very beginning – before you even come up with a name – decide on an idea that you can envisage being shared and spread across every online platform. Make a very detailed checklist of every facet of your brand from the domain name, Facebook/Twitter/LinkedIn/YouTube accounts, email addresses and signatures, logos and so on. Be present everywhere on the Internet with your brand. This doesn’t just get your idea exposure – it shows people how serious and professional you are about what you say and do. Got a specific question for me on blogging? Ask it in the comments below. Also make sure to support me by sharing this post on Facebook, Twitter, etc. if you found it useful. Thanks! Thank you for this! As a blogger just starting up, all of this information will come in handy! I’ve been in the blogging game for a bit, but I’m struggling to find readers who are interested in the niche. My blog is a travel blog with a language learning sub-niche; it’s horribly easy to find an audience for the travel posts, but I don’t know where to find language learners. Where did you look for your audience? This is an old question but I just realized I never responded to you (so sorry!). I’ll respond anyway in case it benefits anyone else here. I ascribe to the old adage: “preach the truth and they will come”. Of course, you can reach out to other bloggers and guest post, share tweets and so on which help a little to get noticed (sometimes) but I can tell you that I ignore 99% of attempts to get my attention that way (and so do other bloggers). What really gets people’s attention is a unique voice – someone breaking the mold and doing something fresh. Focus on that and people will start noticing/following you before long. Thanks for the very useful and practical tIps. I am wondering if its ok to be an anonymous blogger. I love learning foreign languages and would like to start a blog on some language learning resources. However I am not prepared to put my face and name out there. Would that alienate my readers? It’s certainly doable but people are far less likely to follow an anonymous writer (unless the content is really unique). There are many anonymous/faceless language blogs around but I’ve yet to see any that stand out or maintain a true following. The only anonymous ‘language resources’ blogs around are dodgy attempts to get search traffic from Google. (e.g. search Product X review and see the amount of anonymous blogs that pop up offering generic information so they can make some money). Just something to think about. Depends on what you’re trying to achieve with your idea. Thank you so much for all of the helpful do’s and dont’s. Please check out my blog. HI Donovan, thank you for this guide. I’m another person that has started a blog recently and have been thinking of which direction to take with it. Your suggestions are really helpful. Cheers. How’s the blog coming along? Hi, Donovan . . . I came across your blog a few weeks ago and ran with the ideas of establishing one myself. The blog I set up is a way to make it a daily habit of learning and practicing the target language I want to learn: Italian. Thanks for the tips and encouragement. I have not had any comments from viewers yet, but that would be a bonus since the purpose for me is to stay motivated and moving forward daily as I strive to become tri-lingual. My blog is taking on the shape of a journal with some personal comments and experiences, plus some pictures — what’s a blog without pictures? Thanks again. In my opinion, the beginning of everything requires an adequate understanding of the field of work, especially if it is in the field of learning and learning languages. As a language blogger, I can vouch for the importance of your email list. It’s not only good for getting your content in front of people that already like your blog but also to create a deep and true relationship with your readers. It’s very conversational! I just started creating YouTube videos for my first blog, and I find it very fun. However, it’s quite a long process. How long did it take for you to be comfortable on camera? I’m still uncomfortable on camera to be honest. But I do it anyway because life is too short to avoid things that make us momentarily uncomfortable. 🙂 You miss out on too much otherwise. Thank you for the splendid advice. I find this very valuable and I’m so interested in blogging. relevant information for me as a newby blogger still trying to figure out my focus (def travel related). 1 of your tips i esp enjoyed –> “I wouldn’t even bother publicly releasing a blog unless it had a dozen or so quality posts on it already”…much appreciated, thanks.